A good website supports your good work. 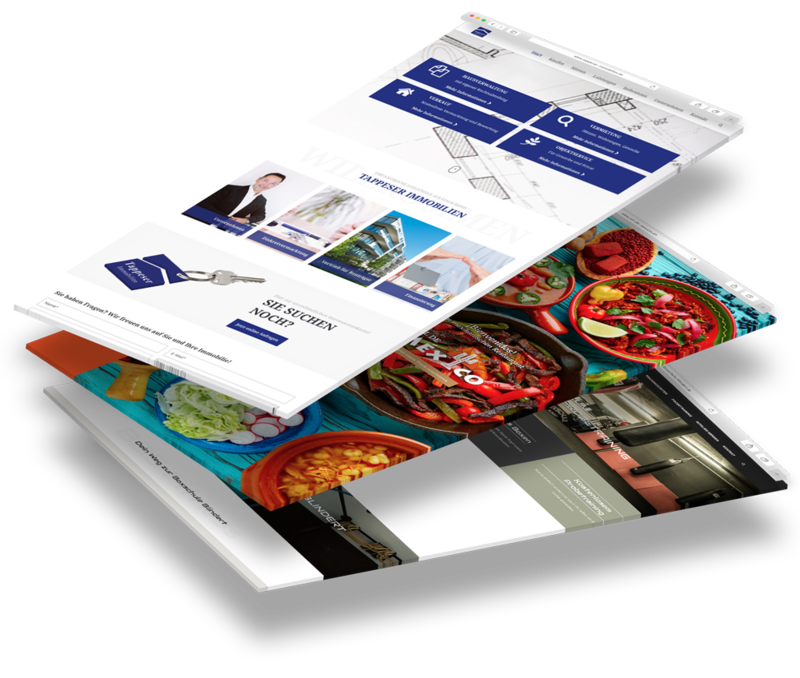 For this, the website should technically be slim, be responsive and content appealing. For us a clean programming meets a clear design. Your customers will appreciate this. Full Service from A to Z for your website! Objectives and tasks. Consulting, Development and Controlling from a single source. Define objectives and tasks effectively secure the measurable success of your online project. Design & development. Both the development of the design and the programming is done in-house. For your website, we operate our own servers in Cologne. When web hosting, we draw on over 15 years of experience. Target food content. With our wide network of copywriters and photographers, we create targeted content for your website. We coordinate all processes so that you can focus on the result. Social media. Which is important addition to creating, and marketing your website. We support you extensively in marketing in social media and optimization for search engines. Versatile, safe, easy and expandable; These are the advantages of the Content-Management-System Contao. With this system, we develop your website according to the latest standards. So you also get the opportunity to maintain your website yourself. Important for a good findability in search engines, is a clean programming and the accurate description of the website and its contents.